"Clowns. Why did it have to be clowns?" Injustice Batman is about 6 1/4 inches tall, making him much taller than the Mattel Movie Masters figures and just a little shorter than your average DC Universe Classics Batman figure. While many of the Mattel DC figures rely on heavy reuse of parts, as far as I can tell Batman is all new sculpting. 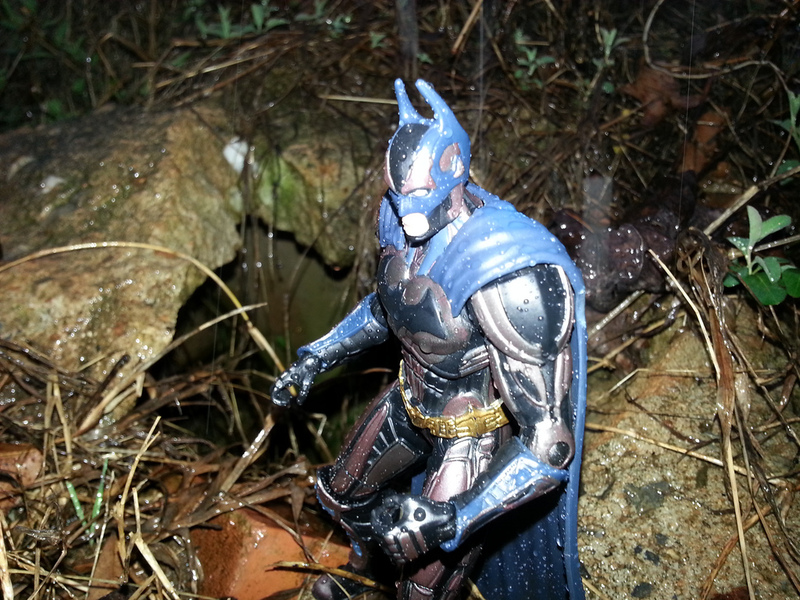 Articulation wise, he isn't even really built like your standard Mattel DC action figure. Batman has the following joints: hinged ankles, ball jointed knees, swivel thighs, H-hinged hips, mid-torso swivel, ball jointed head, ball jointed shoulders, ball jointed elbows, ball jointed wrists. The articulation is really a mixed bag here and has some major flaws. While there are some great joints in here, there is one very significant joint missing: bicep swivels. Injustice Batman has no bicep swivels. 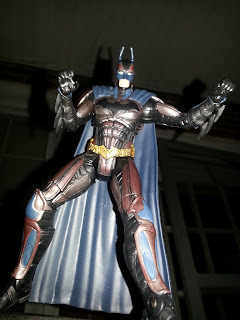 While that may not seem like much, play around with the figure for any length of time and it instantly becomes noticeable that you can hardly get Batman in any interesting poses. 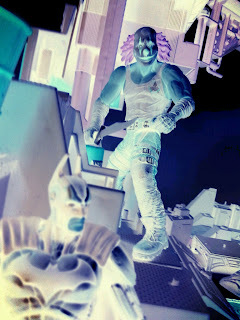 Bicep joints appear on most modern action figures (they've appeared on nearly every DCUC figure) and are significant in giving the arms any lateral movement. This is incredibly unfortunate, as Batman's ball jointed hands really could have made this one of the most well articulated Batman figures ever. Instead, you'll be left with some decent but largely unsuccessful poses, which is all the more frustrating since this figure is based off of a fighting game version of Batman. 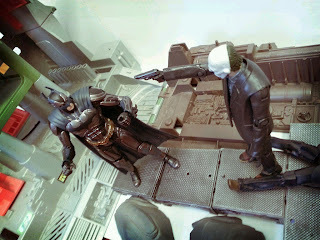 While the articulation is problematic, the sculpt is not. As I mentioned earlier, this appears to be a 100% new sculpt. This is a very armored look for Batman and yet he isn't garbed in all black; it's almost like a cross between Batman's outfit in the Dark Knight Rises and a more traditional blue and grey clothed comic book rendition of the character. Looking closely at the details, you can very much see the suit seems to be composed of a black under suit covered in various plates of armor. The shoulder pads and gauntlets are very pronounced, with the gauntlets featuring very nice, straight blades. 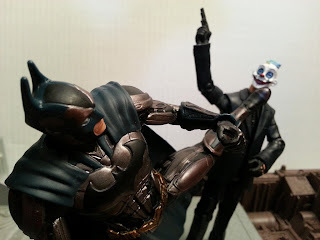 Usually Batman's gauntlets seem to get all bent out of shape in action figure form, so I'm glad these turned out so well. The belt looks very detailed and techy, much like in the Nolan films, versus looking like a traditional pouch adorned belt. If I have a sculpting complaint about anything on the figure, it's with the head: it looks a bit too small. I like the detail and the featureless eyes, but the pinhead look isn't overly flattering on Batman. It's not terrible, but it isn't perfect Still, this is a great look for Batman and I appreciate what Mattel did with the figure. The paint work is excellent overall. While the under suit is a more matte black, the armored pieces of the suit are a very dull copper color. There's an excellent metallic look to these pieces which is further highlighted by very dull bluish-gray details. It's an interesting look for Batman and I think it will work well in the video game. Always nice to see something that doesn't just rely on black on black, y'know? Pictured: A clown 3 seconds away from a severe beating. Batman doesn't come with any accessories. He has a cape, but it's permanently attached and is made of a nice, flexible rubber material. It looks good and doesn't weigh the figure down by pulling it backwards like some capes tend to do. A Batarang or some type of gadget would have been nice, but I assume that must be asking too much on a $15 figure (please note my sarcasm). Sorry Mattel! Shadows don't count as accessories! *Head might be a bit too small. Batman trying out his patented "Clown Vision." Good for him; bad for clowns everywhere. Overall: This is a decent Batman figure which easily could have been a great Batman action figure if he'd had the bicep swivel joints. 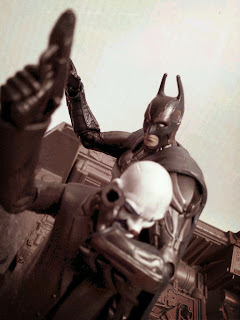 It's kind of hard to stress how important those joints are on an action figure until you have one lacking them in hand. Let me try to explain to you. Imagine that your arms cannot go past your shoulders in towards your body. Want to block an incoming punch? Sorry, you can't do that. Want to scratch your nose? Sorry, no bicep swivels. Want to use the bathroom? That's going to be hard to do without bicep swivels. 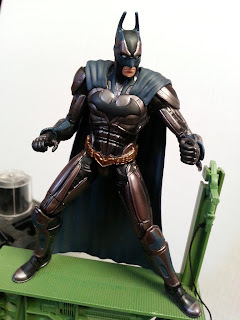 It's a small thing, but it makes an excellently sculpted, exceptionally painted Batman figure more frustrating than fun, which should never be the case. Overall, I'm confirming this figure Good. If I were comparing him to Batman movies, he's certainly wouldn't be The Dark Knight but he's not Batman & Robin either. A traumatic childhood experience at a Sears' department store left Barbecue17 with a lifelong fear of clowns. Through years of training, he has come to wage a one man war against clowns of all shapes and sizes. He finances his operation by writing toy reviews on Amazon and by taking action figure pictures for his Flickr account. This is a really interesting piece of spam.  Of everything in this review, you picked out swivel joints? Crazy man.